If you’ve reached this point of the Training Center, you likely know where your audience lives online and you’re looking for tips on how to successfully, respectfully and effectively engage potential buyers. Good news! The biggest advantage that you have when targeting a predefined and congregated audience is the fact that, well, they are already predefined and congregated. Sweet. Social channels like YouTube, Facebook, Twitter, Pinterest, Instagram and Reddit (among others) are free, and provide direct access to potential buyers. They are also hubs for social sharing and potentially the best way to spread the word quickly about your design. So how do you tap into your audience’s online presence? Effectively promoting content with social media depends on your audience’s level of engagement within each social channel. If your audience is active, passionate and engaged, you may only need to post once in the right place (though that’s rarely the case). More likely, you’ll need to post multiple times to a variety of different interest groups where your audience could potentially live. To start, let’s review how best to optimize and respectfully post on social media channels. Here are some tips to get started. People respond better to a cool image than a block of text, so always include a high-quality image of your design on your social posts. 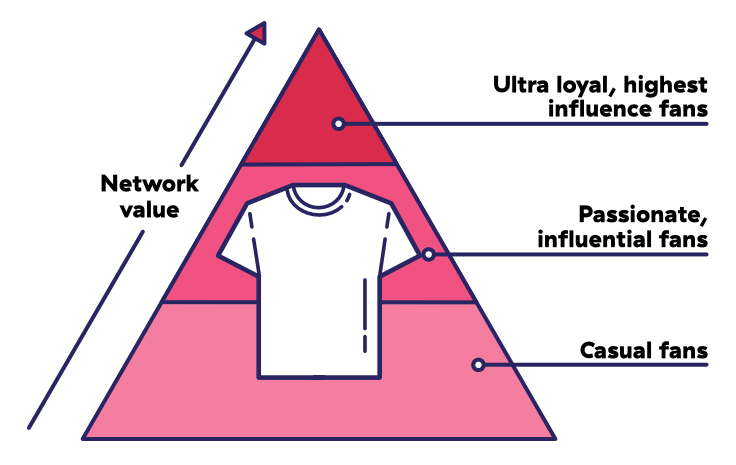 Within your Teespring account you can choose between hundreds of images and save the one you want to appear whenever your campaign link is posted on social media; check out our info on Teespring Creatives to learn more about how to generate these images. The shorter, the better. Let the design sell itself! Some food for thought: according to Social Media Examiner, tweets containing less than 100 characters receive 17% higher engagement than longer Tweets. The same can be said about Facebook – don’t create lengthy posts! Friends or followers may ask you questions about the design directly through your page. Be sure to answer them as quickly as possible. This way, your fans feel as if they are being heard and your answer will likely be read by others who have the same question. If you are having a problem with somebody asking questions on social media, take the conversation out of the public forum. Let them know that you are doing so in public so it doesn’t look like you’re ignoring them (i.e. “I’m sending you a private message now with more info”). Learn more about assisting buyers here. Be respectful. You want to engage your audience, but you don’t want to overwhelm, or worse, annoy them. The more you post about the same design, the less people will pay attention! In a two-week campaign, it’s best to post the design on the first day, wait until the beginning of the second week to post again, and repost perhaps once or twice more as needed. Find out who is really excited about your design and reach out to them. Prizes are a great incentive to get your followers to share content. These can be anything from free t-shirts, a ticket to your band’s concert or even an original piece of artwork for the first four people who share the design to their networks. Include a link to the campaign to give third-party viewers the option to buy them immediately. And make sure the contest ends a couple days before the campaign ends—this way people who win the contest can be notified and share their excitement with their friends while the campaign is still active. Additionally, non-winners may still want to buy your design even if they can’t get one for free. Prizes can also help bolster support for your Teespring campaign. Jahova, a popular Youtube personality, offered to give away signed shirts and custom video game equipment to his viewers. The one qualification for the giveaway was that entrants had to submit a picture of themselves in a shirt from his Teespring campaign. 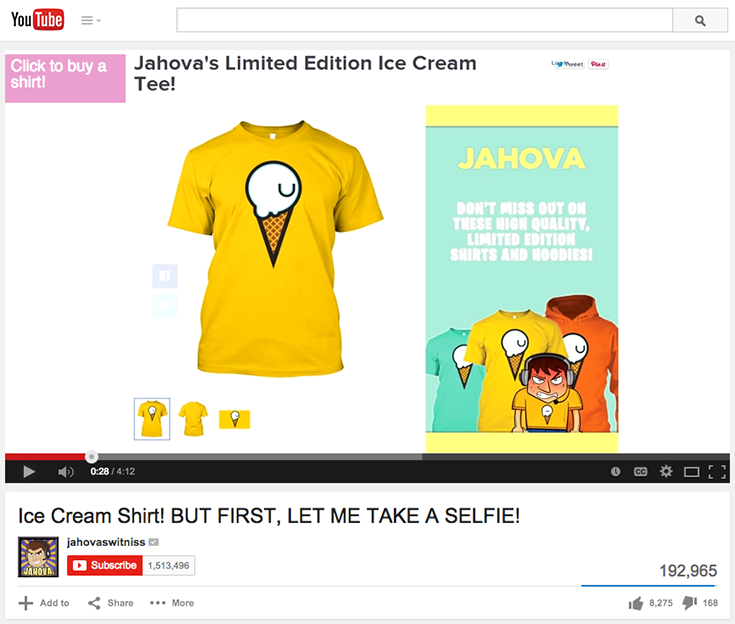 He promoted the contest in a video with close to 200,000 views, and Jahova’s campaign ultimately sold over 2,000 shirts.